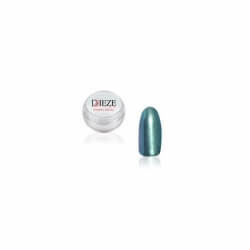 For a nail art with iridescent and changing colors, use the mermaid effect. 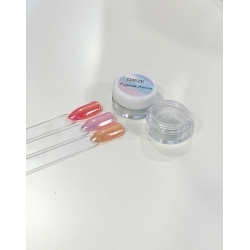 This magical pigmented powder add fabulous effects to your fake nails! 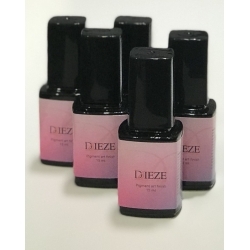 Dieze's advice: After the building, put the color you want on your artificial nails and cure them. Don't remove the tacky layer but spread the pigments on top of it and rub it. Then add a layer of gloss gel Krystal Finish to seal well the pigment maniac.